The second installment of Stephenie Meyers phenomenally successful TWILIGHT series, the romance between mortafeefl and vampire soars to a new level as BELLA SWAN (Kristen Stewart) delves deeper into the mysteries of the supernatural world she yearns to become part of only to find herself in greater peril than ever before. Following Bellas ill-fated 18th birthday party, EDWARD CULLEN (Robert Pattinson) and his family abandon the town of Forks, Washington, in an effort to protect her from the dangers inherent in their world. As the heartbroken Bella sleepwalks through her senior year of high school, numb and alone, she discovers Edwards image comes to her whenever she puts herself in jeopardy. Her desire to be with him at any cost leads her to take greater and greater risks. With the help of her childhood friend JACOB BLACK (Taylor Lautner), Bella refurbishes an old motorbike to carry her on her adventures. Bellas frozen heart is gradually thawed by her budding relationship with Jacob, a member of the mysterious Quileute tribe, who has a supernatural secret of his own. When a chance encounter brings Bella face to face with a former nemesis, only the intervention of a pack of supernaturally large wolves saves her from a grisly fate, and the encounter makes it frighteningly clear that Bella is still in grave danger. 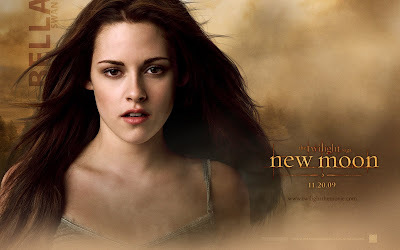 In a race against the clock, Bella learns the secret of the Quileutes and Edwards true motivation for leaving her. She also faces the prospect of a potentially deadly reunion with her beloved that is a far cry from the one she'd hoped for. 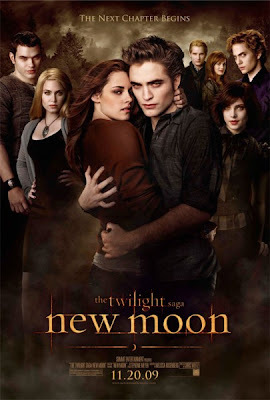 With more of the passion, action and suspense that made TWILIGHT a worldwide phenomenon, THE TWILIGHT SAGA: NEW MOON is a spellbinding follow-up to the box office hit.